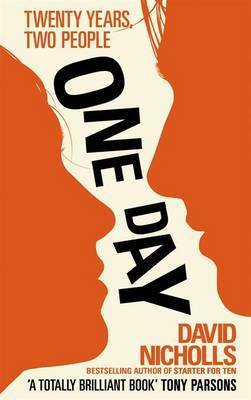 One Day by David Nicholls – It's Time to Read! This novel follows the lives of two people, Emma and Dexter, on the same day for twenty years. They meet on the night of their graduation and stay up talking, amongst other things. In the morning they must go their separate ways. The novel visits them on 15th July, St. Swithin’s day, for twenty years. We follow them through their twenties, when Emma is struggling to find direction for her life and Dexter is on TV; and through their thirties where Emma has made it as a Young Adult author and Dexter has a failing marriage and no direction for his life. We follow their friendship, various romances and all the things life throws at them. There is a twist at the end of the novel, but I won’t give any more away than that. I was really excited to read this book a few years ago when the book came out. I remember there was a lot of hype – and a lot of people questioning whether Anne Hathaway should have been chosen to play a Yorkshire girl (I haven’t seen the film so can’t comment on that decision!) I remember I was traveling home from York, stuck on the M25 and Fearne Cotton was raving about this book. I immediately downloaded it as I needed something to do but I didn’t get very far. I managed a few chapters – up to the point of Emma working in a Mexican restaurant and Dexter travel ling and realised I was bored. I stopped reading the book then. This year I have decided to take part in the 2014 Mount TBR Challenge, which can be found on Goodreads. I selected this novel as one of the books I would read that had been hanging around for a while. I didn’t like the characters – any of them. There isn’t much to say about that! I found Emma quite miserable. I wanted her to man-up most of the book and stop complaining. And Dexter, I felt like he needed to grow up and get help for many issues in his life. I wasn’t bothered by any of the supporting characters either. Although a clever concept, one day in time, I found it missed out huge chunks of their lives so I never felt like I could relate or that I knew the characters very well. For me, it felt like there was a lot missing from the book because it just focused on that solitary day. I didn’t relate to any of the issues. There was nothing I could empathise with, nothing that stood out for me. I kept reading because I knew there was twist coming. However, when it arrived I wasn’t surprised at all. I had suspected that it would happen from quite early on in the book. It is unusual for me to finish I book I dislike so much, but I really wanted to complete a book in my TBR Challenge. I think that is the single reason why I completed the book – not a great reason at all! I’m rating this book 2 out of 5 simply because even though I didn’t like it at all, I did finish the book. At last! Someone who shares my thoughts about this book! I agree with everything you say, I found it boring, didn’t like the characters, and when ‘that’ happened I just couldn’t finish it. I really can’t understand why everyone loves this book. Thanks for this review. Pingback: 2014 Reading: #6 Dorothy Koomson’s The Cupid Effect | It's Time to Read!